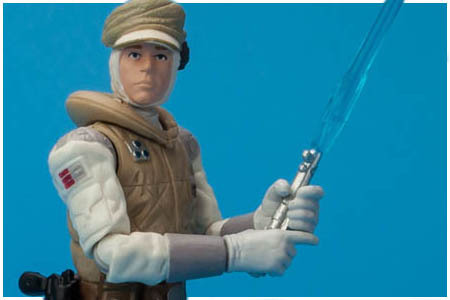 The Luke Skywalker (Hoth Outfit) figure is a completely new figure. This figure's Lightsaber Hilts feature the riveted ends seen only on The Empire Strikes Back version of the Anakin Skywalker Lightsaber prop. This figure features ball jointed hips allowing it to fit on the Tauntaun creature sold last year.